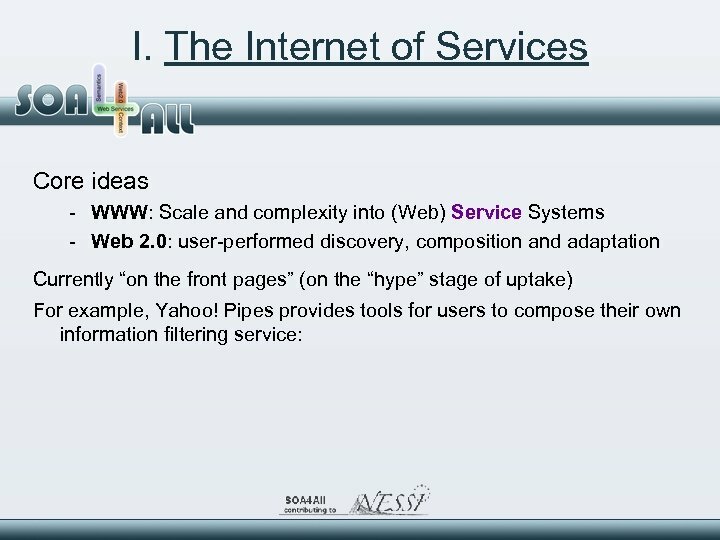 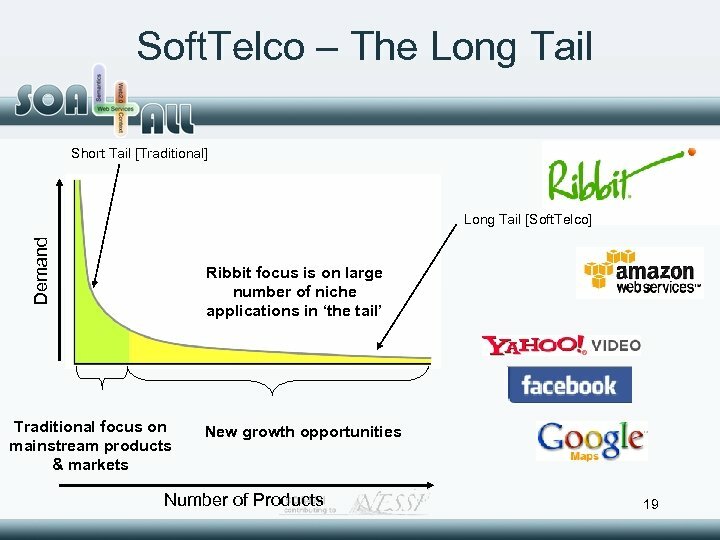 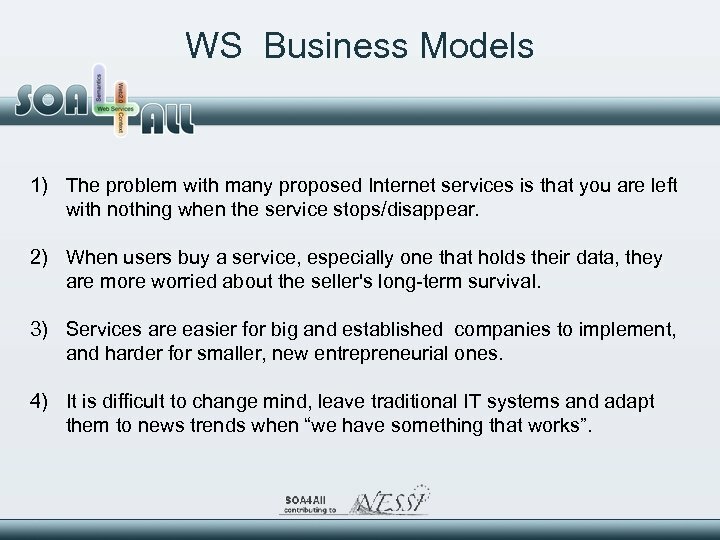 WS Business Models 1) The problem with many proposed Internet services is that you are left with nothing when the service stops/disappear. 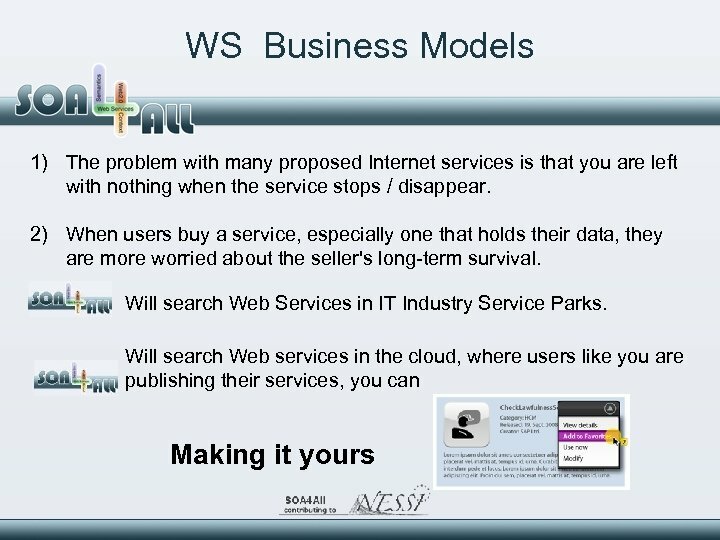 2) When users buy a service, especially one that holds their data, they are more worried about the seller's long-term survival. 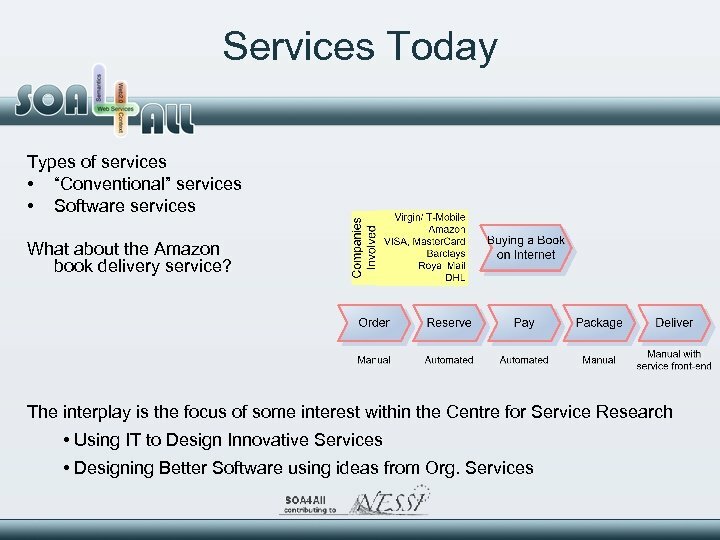 3) Services are easier for big and established companies to implement, and harder for smaller, new entrepreneurial ones. 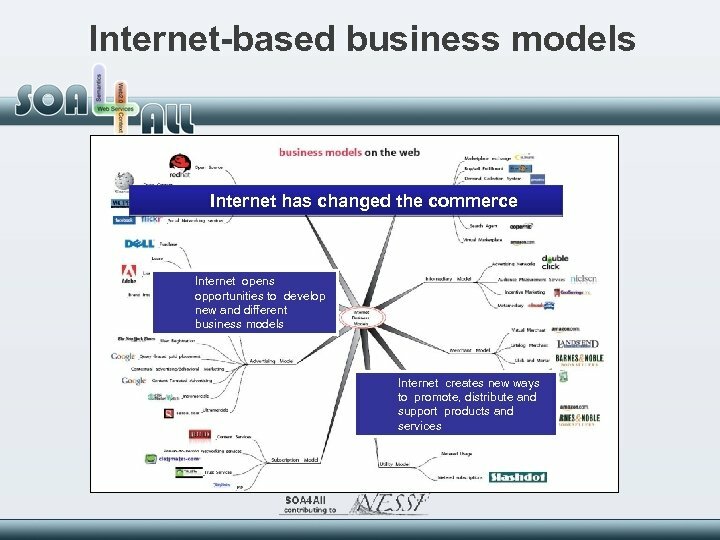 4) It is difficult to change mind, leave traditional IT systems and adapt them to news trends when “we have something that works”. 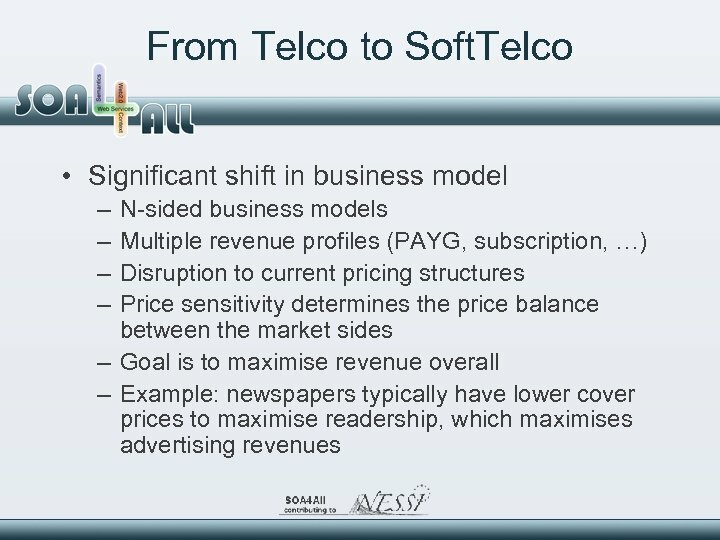 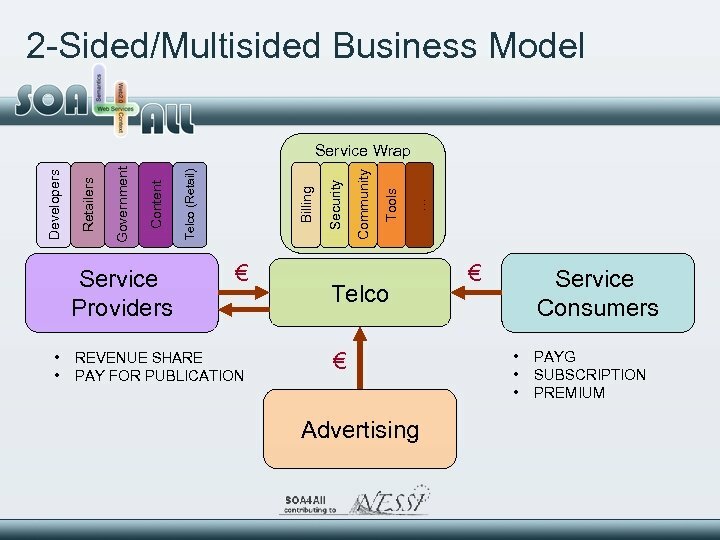 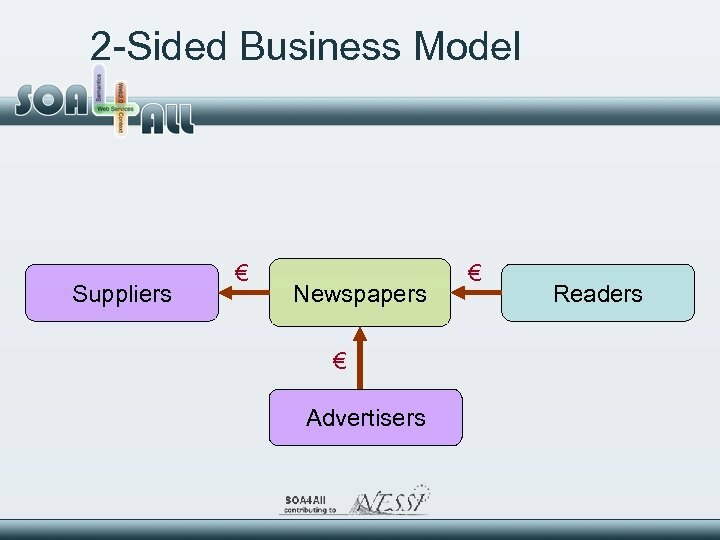 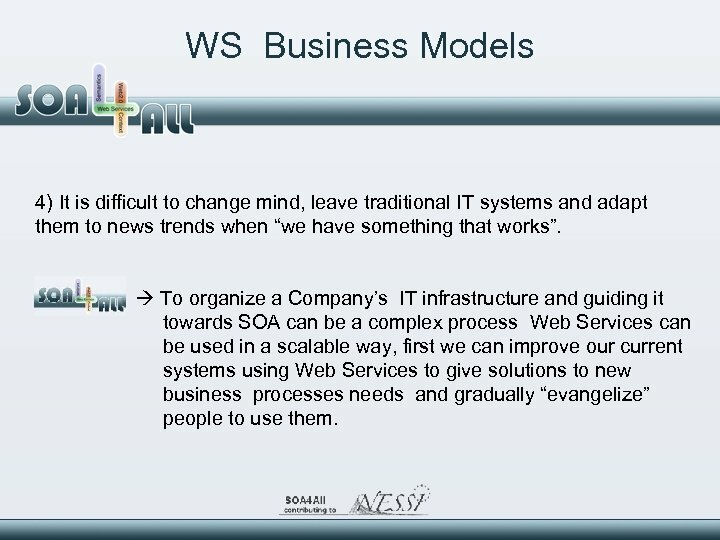 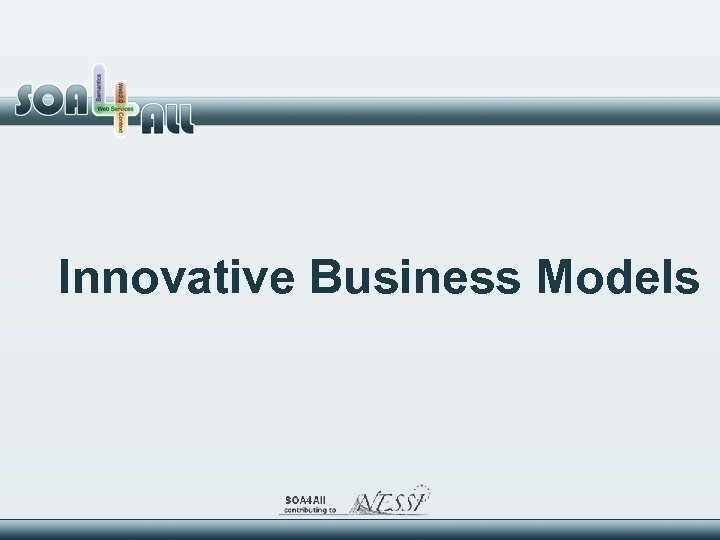 WS Business Models 4) It is difficult to change mind, leave traditional IT systems and adapt them to news trends when “we have something that works”. 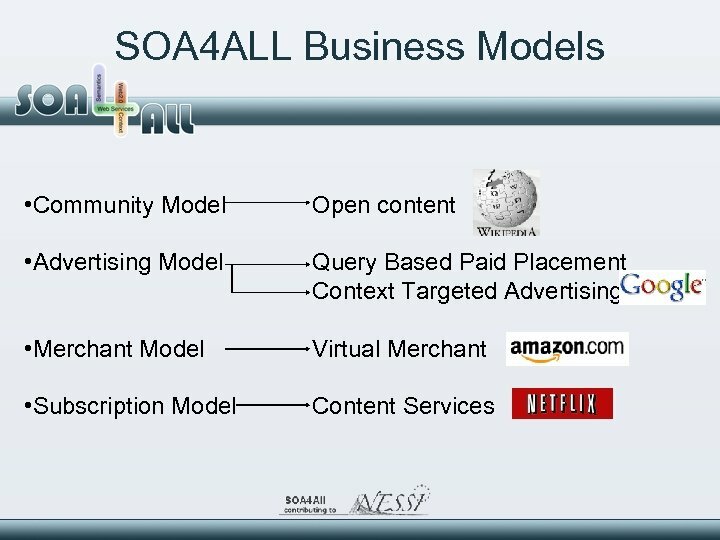 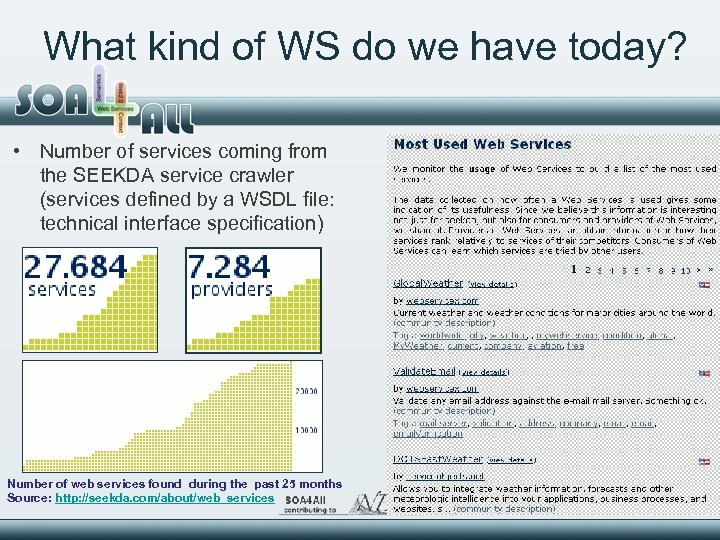 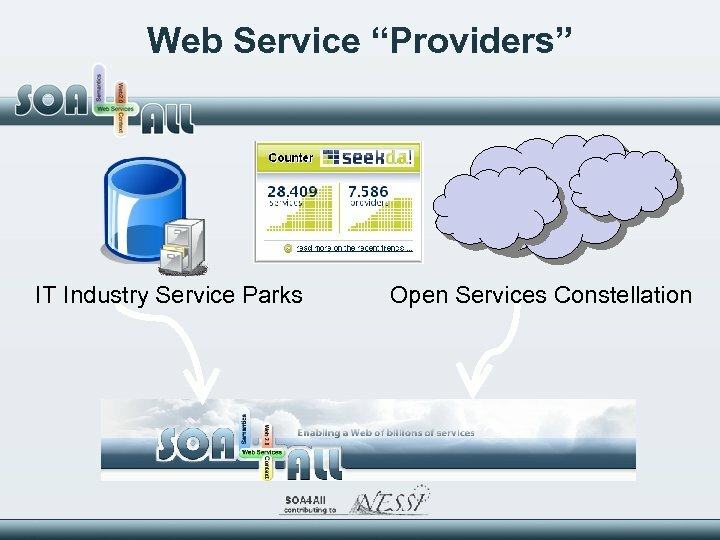 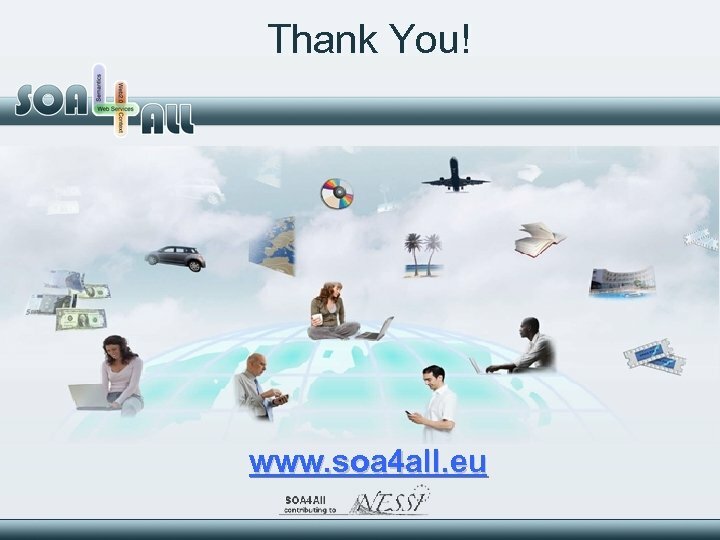 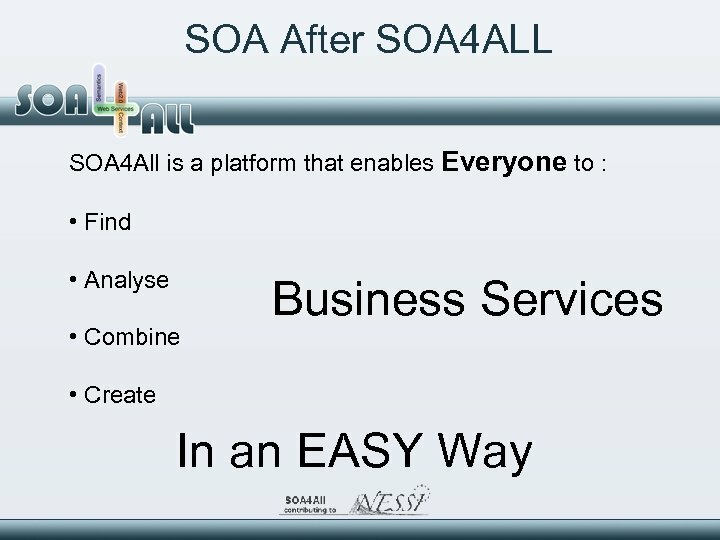 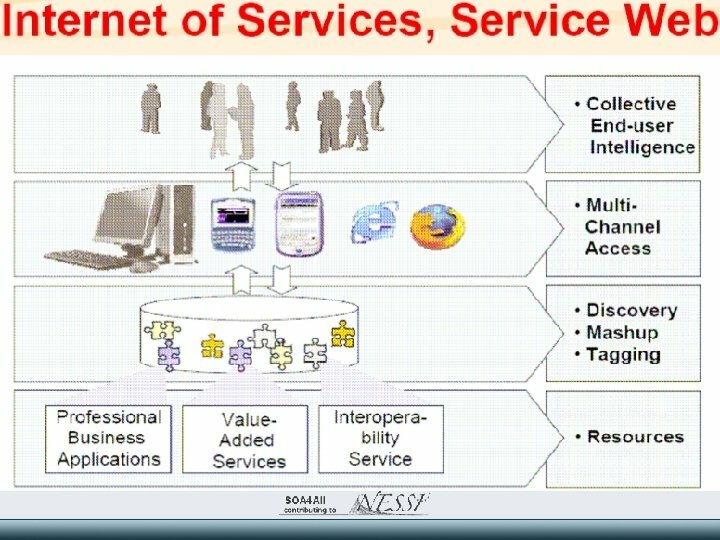 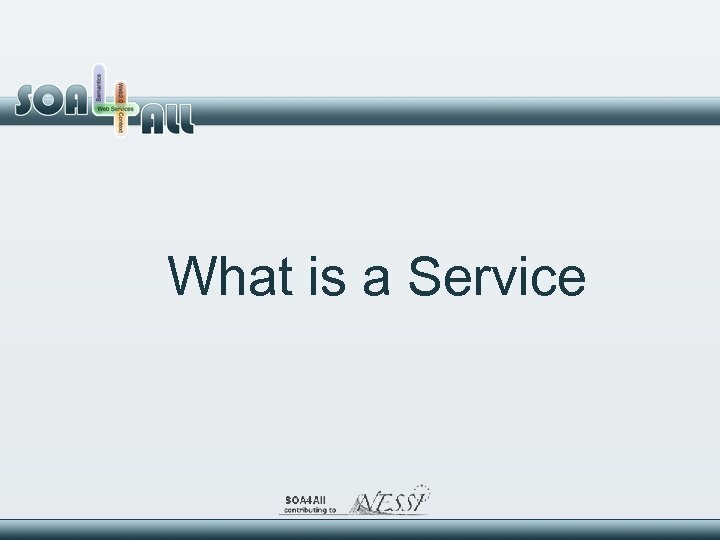 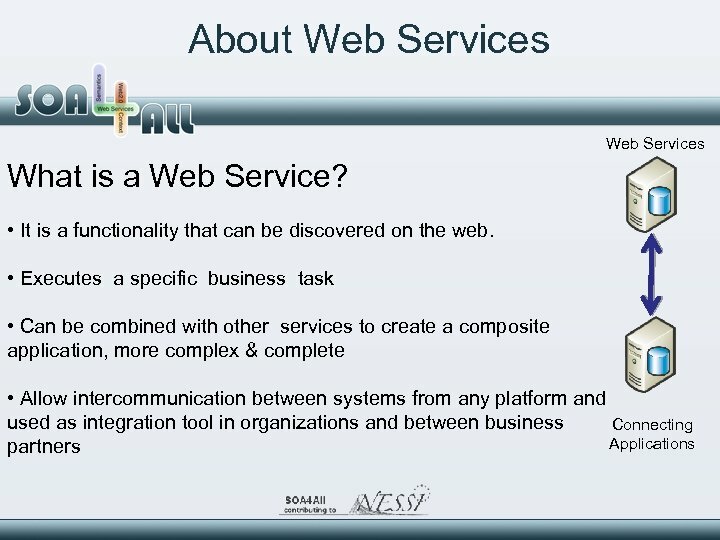 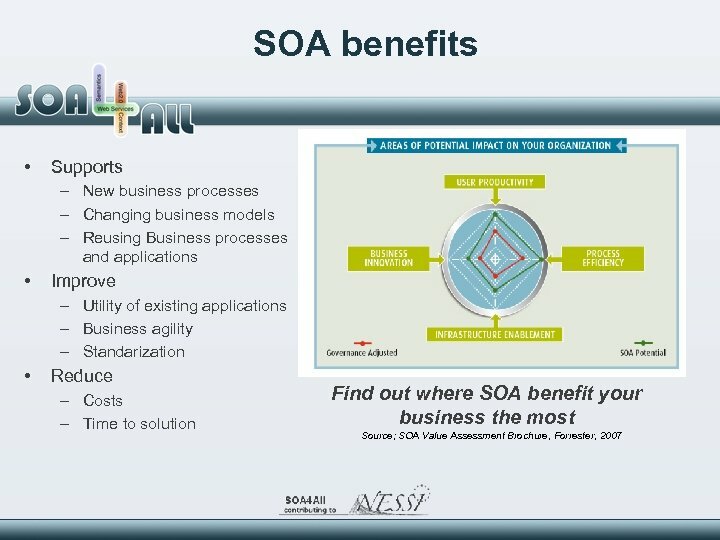 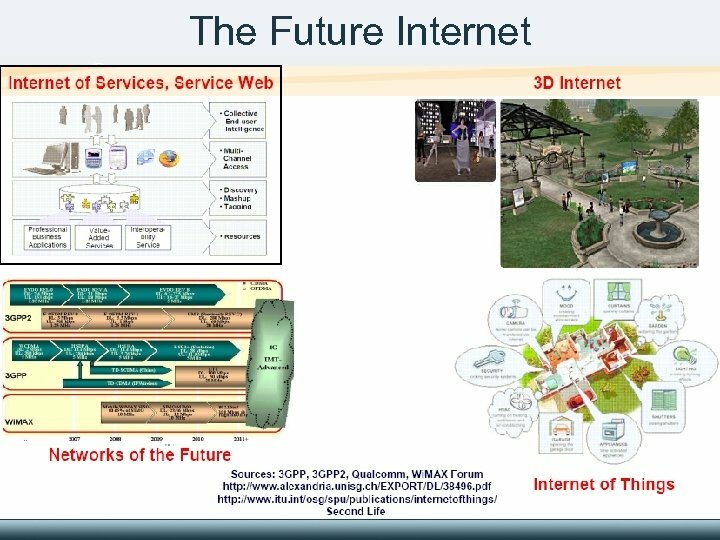 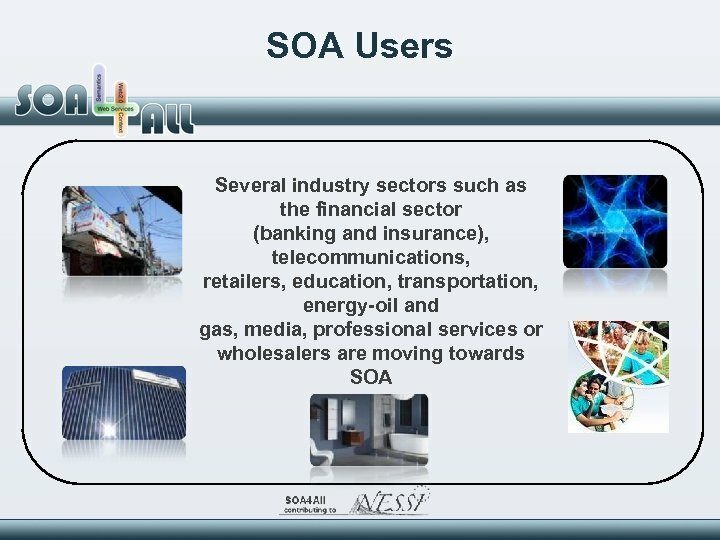 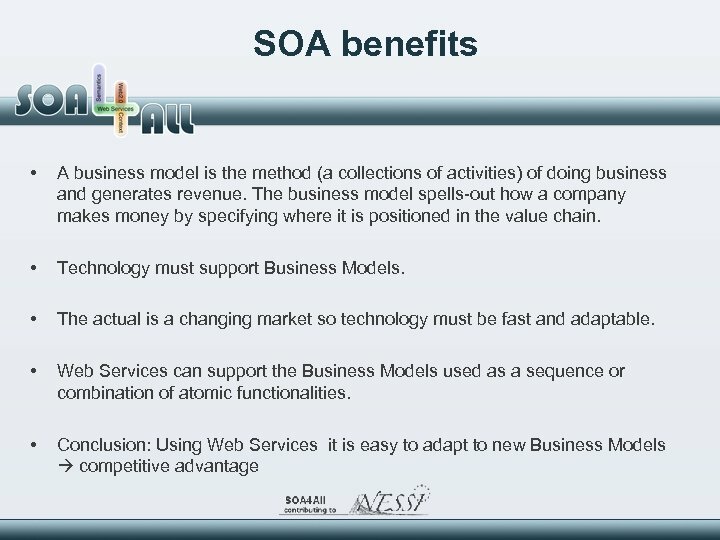 To organize a Company’s IT infrastructure and guiding it towards SOA can be a complex process Web Services can be used in a scalable way, first we can improve our current systems using Web Services to give solutions to new business processes needs and gradually “evangelize” people to use them.